According to Hearing.org, certain occupational groups have a five times higher risk of hearing problems then others. This is due to noise exposure in the workplace. In a study done by NIOSH was found that of people regularly exposed to occupational noise, 23% had hearing difficulties and 15% had tinnitus. Of people never exposed to occupational noise, only 7% had hearing difficulties and 5% had tinnitus. Conditions would be worst in the manufacturing and engineering sector. Workers in agriculture and personal care and service occupations had significantly higher risks as well. 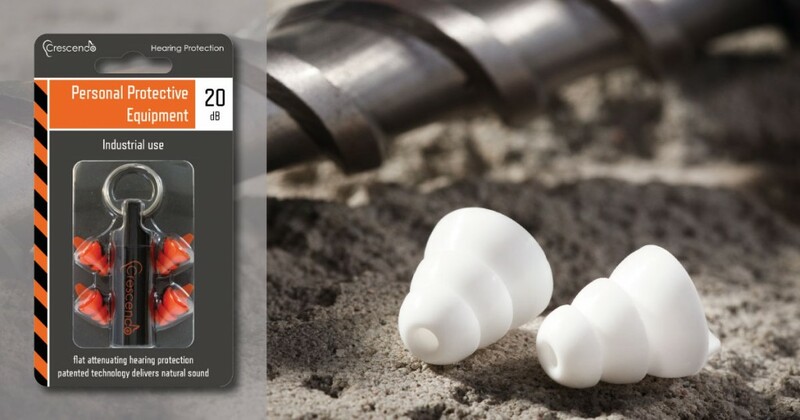 For everybody exposed to occupational noise, Dynamic Ear Company recommends the Crescendo PPE 20. The unique, flat attenuation results in reduction of sound levels equally over all frequencies, contributing to natural sound and clearer speech. According to various Dutch news articles, the noise at construction sites is a big problem in the Netherlands. The consequences for construction workers are very serious: one in five suffers from hearing loss and 13% even suffers from ‘noise deafness’. In 2014 almost 2500 reports of hearing damage were made at the Dutch Centre for Occupational Diseases (NCVB). More then 85% of these reports came from the construction sector. Because of these figures, the Dutch Ministry of Social Affairs and Employment (SZW) is going to monitor loud noise at construction sites intensively in the last months of 2016. If noise of 85dB or higher is detected and no hearing protection is worn, the work will be stopped immediately and the employer will get a fine. 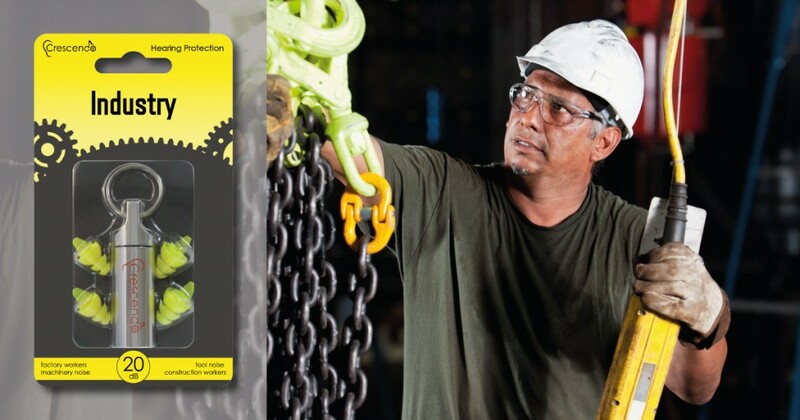 Crescendo recommends the Crescendo Industry for all construction workers. The unique filters, developed by Dynamic Ear Company, reduce sound levels by 20dB, making it safe to work for eight hours in an environment with noises up to 105dB. Thousands of US fire fighters claim to have serious hearing damage due to the sound of sirens blaring while riding on the fire truck. In many cases, the damage would be permanent. For this reason, fire fighters from American cities such as New York, Philadelphia, Chicago and Boston, filed a lawsuit against the company that manufactures the sirens. Among other things, they require that the placement of the sirens be permanently adjusted. The sound should blast away from the vehicles, rather than towards it. However, the company argues this isn’t possible, because the sirens should be heard from all angles. Of course a great solution for all fire fighters would be to wear hearing protection. Dynamic Ear Company offers various products, like for instance the Crescendo PPE 25. 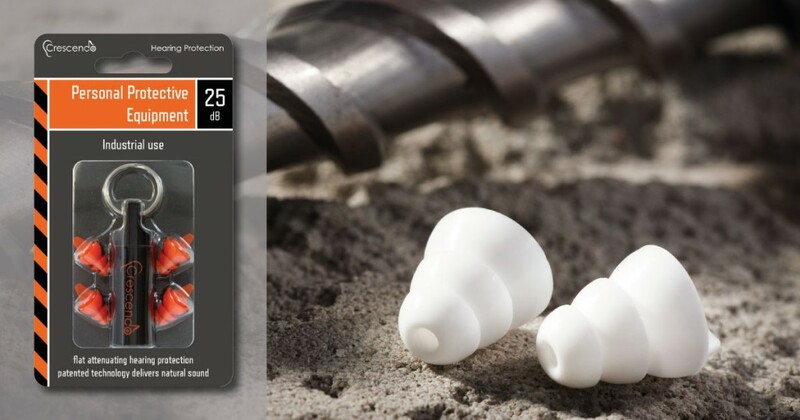 The unique filters in the universal earplugs reduce noise by 25dB. This makes it safe to work up to eight ours in an environment with noise levels up to 110dB, while speech and warning signals are still heard. Furthermore, the reduced noise level leads up to less tiredness. The Crescendo filters allow air into the ear, minimising irritation and warm ears. The filters are fully washable so can be used for a long time, even while working in a dirty and smoky environment. Hearing protection devices (HPDs) come in a variety of shapes, styles, sizes, materials, and noise reduction capabilities. With all of these choices, it can be difficult to decide which HPDs are best for your workers. Some safety managers mistakenly select a hearing protector based exclusively on the product’s Noise Reduction Rating. Although the NRR must be sufficient to protect against workplace noise exposures, research shows that additional factors, such as the ability to communicate, convenience, comfort, and compatibility with other personal protective equipment, are more important to predicting ultimate success.